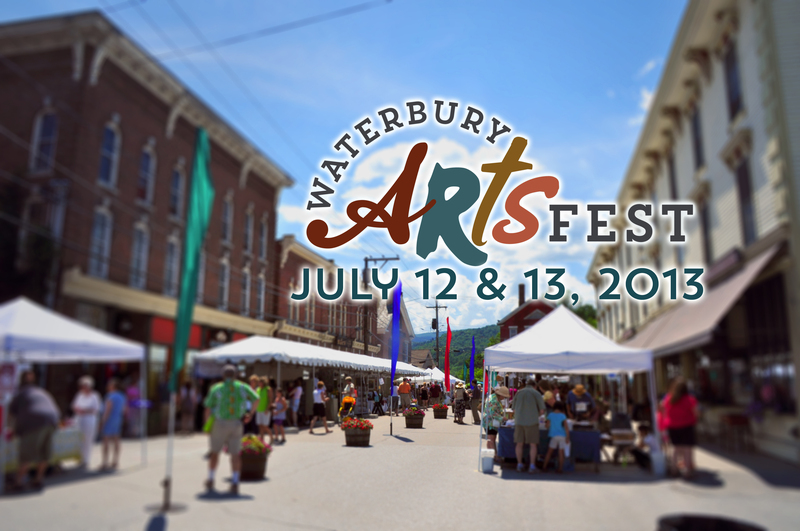 By now you’re probably well aware of and getting excited for the Waterbury Arts Fest coming up THIS WEEKEND! This year’s event plans to be have biggest, most creative and talented line up ever. Friday July 12 from 6-9:15pm, head down to Stowe Street in downtown Waterbury for a FREE Block Party featuring the acrobatic prowess of Nimble Arts followed by the infectiously high energy music of Josh Panda and the Hot Damned! Plus many local businesses will be hosting their own entertainment following the Block Party so it will be a great night to go out in Downtown Waterbury. Saturday, July 13 will feature over 70 artists lining Bidwell Lane and Stowe Street as well as food vendors and live entertainment from 10am-4pm. This event is also FREE and will have some great kids activities like our brand new Art Spy, plus a chance to pet a cute little baby calf! Of course, all this fun in the sun is thanks in large part to the continued support of our Spotlight Sponsors. These businesses are all well aware of their role in our community and are frequent supporters of events like ours. Help us thank them by supporting these great businesses the next chance you get! Nothing like Ben & Jerry’s ice cream to complete your day at the Waterbury Arts Fest! Ben & Jerry’s Ice Cream – With a three part mission Ben & Jerry’s aims to make, distribute and sell the finest quality all natural ice cream with a commitment to wholesome, natural ingredients and enviromentally-friendly business practices. They operate on a sustainable financial basis of profitable growth. And they actively recognize the central role that business plays in society by initiating innovative ways to improve the quality of life nationally, internationally, but also locally. Their continued support of the WAF speaks volumes about their Social Mission and their commitment to our community. Plus,they not only support our festival, but they will join us on Saturday, serving up your favorite flavors of nice cold and refreshing ice cream! TD Bank having fun with their community members at last year’s festival. TD Bank – Community spirit and involvement embodies the very core of TD Bank’s corporate citizenship philosophy. They are committed to making a meaningful and positive contribution to the individuals, families, businesses and communities within their marketplace and the Waterbury Arts Fest is grateful to be among the numerous civic and non-profit organizations that TD Banks supports. Plus they are conveniently located just around the corner from the WAF so if you find yourself needing an ATM, they are only a hop, skip and a jump away from the festivities so you won’t miss a beat! We miss the Alchemist Pub & Brewery but the Alchemist Cannery continues to play a key role in our community. The Alchemist – The producers of the #1 beer in the world, Heady Topper, these guys are all about supporting their local community. In early 2011 they built the Alchemist Cannery for the production of their flagship double IPA. The first cans of Heady Topper rolled off the line just two days after Tropical Storm Irene demolished The Alchemist Pub and Brewery. Today they sell their beer almost as fast as they can can it, and they continue to give back to their grateful community by generously sponsoring events like the WAF.